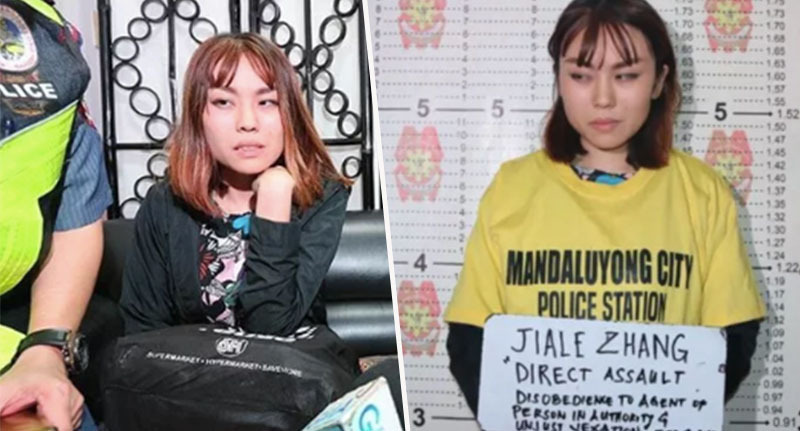 A Chinese student is facing an assault charge and deportation from the Philippines after throwing a cup of tofu pudding at a police officer. 23-year-old Jiale Zhang was arrested on charges of direct assault, disobedience to an agent of person in authority, and unjust vexation after an incident at a metro station. 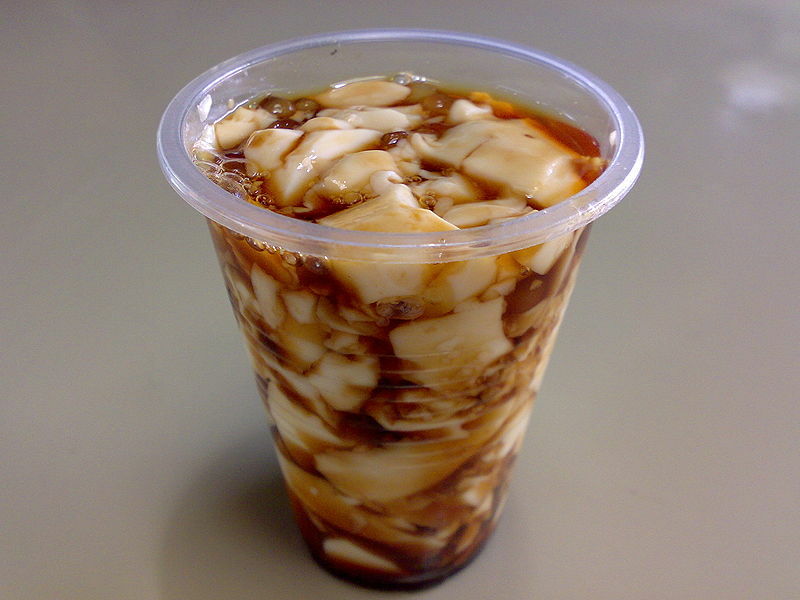 The fashion student at the SoFA Design Institute in Makati city was walking towards the barriers at the Boni Ave. Station in Mandaluyong City at around 8.30am on Saturday 9 February, carrying a cup of a tofu-based drink called taho. The Philippine dessert is made of fresh soft silken tofu, arnibal, and sago pearl, reports PhilStar Global. PO1 William Cristobal saw her unconsumed taho and prevented Zhang from entering the MRT station, where there’s a ban on liquids. Zhang responded by allegedly throwing her full cup of taho at the officer and was subsequently arrested on charges which could land her with six years in prison. Speaking from a Philippine jail, she explained she was in a bad mood and had not properly controlled her emotions. I’m really, really sorry. I really ask if it’s possible to have another chance. I really like the Philippines. That’s why I want to stay here. I like people here. I really love Filipinos. The Bureau of Immigration has found probable cause to deport her. 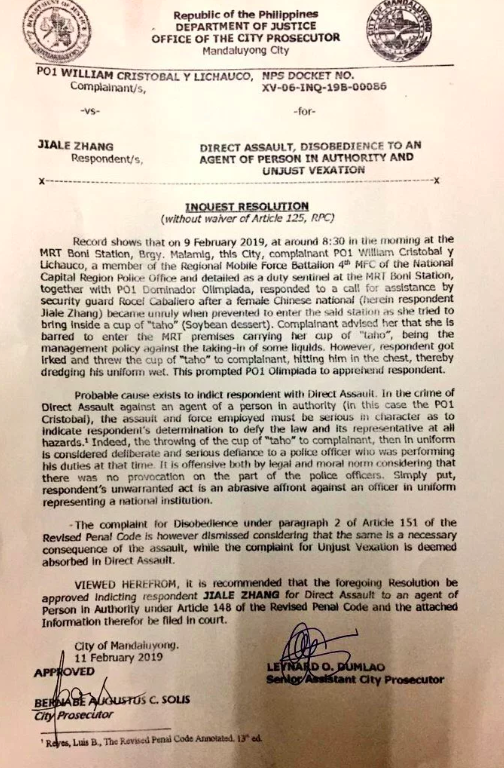 Meanwhile, the Mandaluyong city prosecutor’s office has found probable cause to charge her with direct assault, a crime which could result in between six months and six years in prison. This was a very minor omission which just went viral. It’s a case where somebody got emotional over an incident. 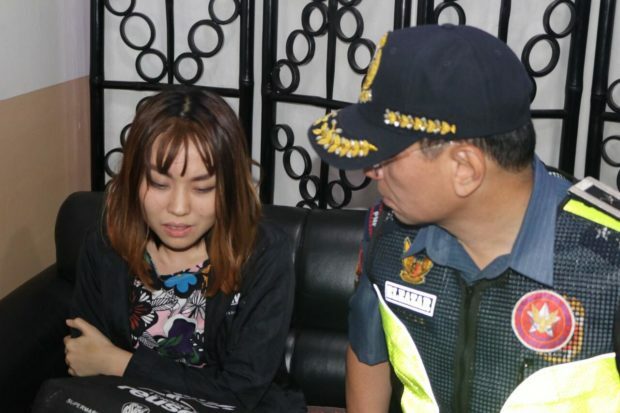 Zhang was later released by the authorities, but the Mandaluyong police said she is still under investigation. In fact, Mandaluyong City police chief Senior Supt. Moises Villaceran Jr. said they would recommend to the Bureau of Immigration to declare Zhang as an ‘undesirable alien’ and deport her. Vice President Leni Robredo said the incident is a wake-up call as she raised her concern on the ‘special treatment’ afforded to China by the Duterte government. Robredo says the act was an ‘insult’ not just to the police, but to all Filipinos. However, Foreign Secretary Teodoro Locsin said Zhang deserved to be charged but deporting her would be an overreaction. In a statement, Immigration spokesperson Dana Sandoval says Zhang is now detained at the BI Warden Facility in Camp Bagong Diwa, Taguig after ‘violating immigration laws’. Zhang posted bail on Tuesday night (February 12), on cases filed against her by the police. The bureau also says it will resolve her possible deportation case ‘in the next few weeks’.